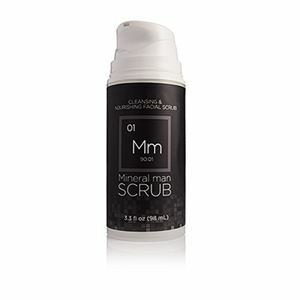 Mineral Man Scrub combines the natural cleansing power of activated hardwood-derived charcoal with refreshing and healing essential oils for a soft, clean, and radiant face. Activated charcoal has potent detoxifying, nourishing, and rejuvenating properties that flush out natural toxins and chemicals in the body. We draw from this naturally powerful source, by combining activated, hardwood-derived charcoal with refreshing and healing essential oils. The results? A face scrub that leaves your face feeling soft, clean, and radiant. Youngevity uses natural charcoal mixed with our blend of organic ingredients to help extract impurities, moisturize, clean, and give skin a fresh new look and feel.